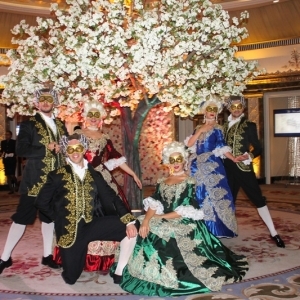 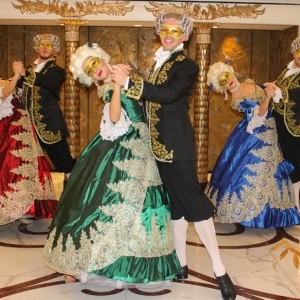 Mysterious masked dancers grace the dance floor to create scenes of a classic Masquerade Ball. 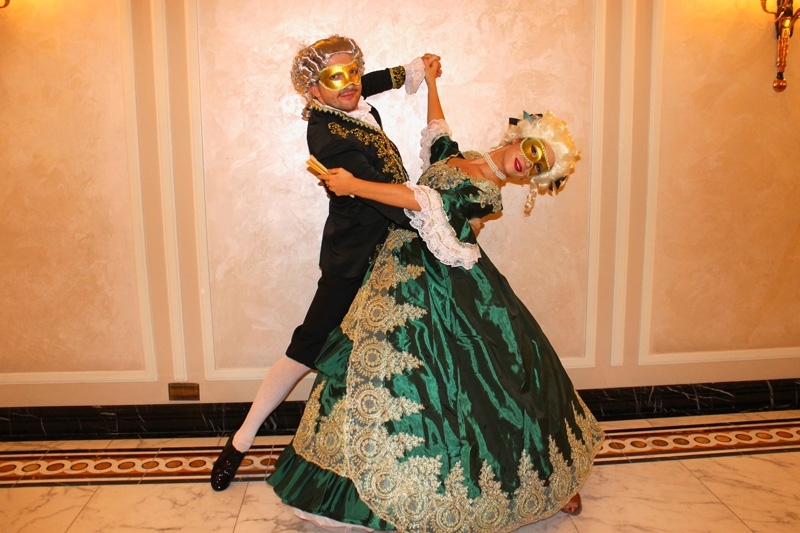 Our dance couples will perform a beautiful Masquerade waltz. 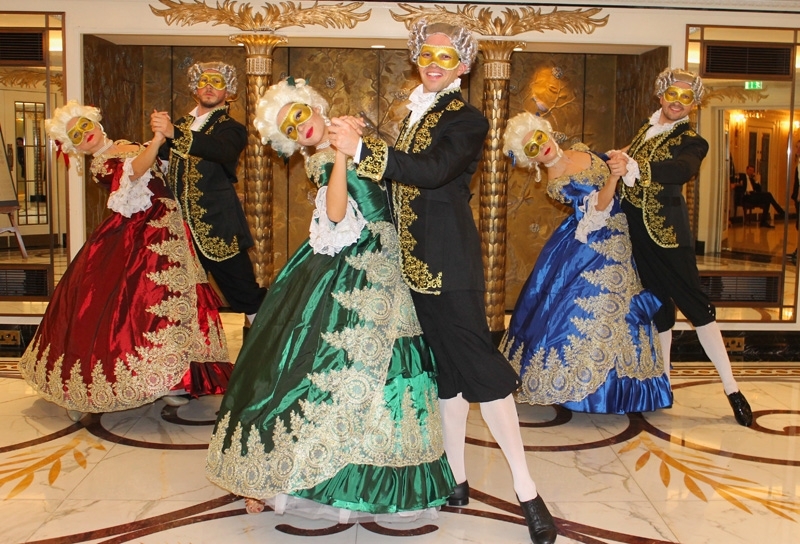 The ladies elegantly dressed in floor length gowns and our gents in tailcoat suits and cravats, with matching beautiful masks. 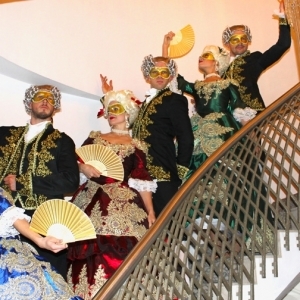 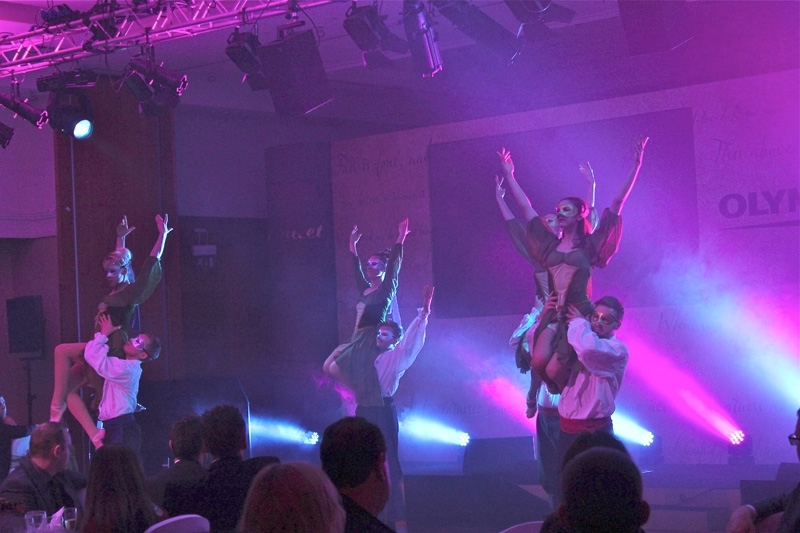 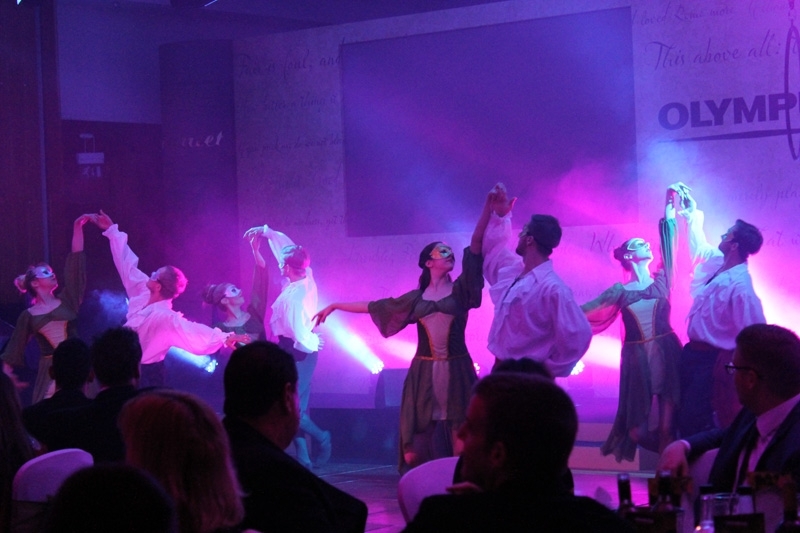 They can then perform a traditional Baroque dance, reminiscent of the famous ballroom scene from Romeo and Juliet. 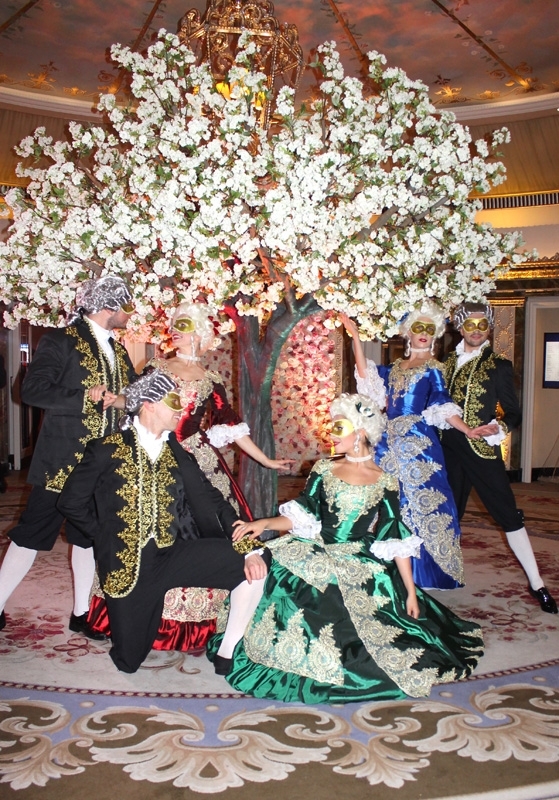 The couples dance in line formation and weave in and out to create a beautiful visual spectacle. 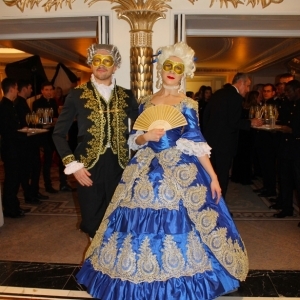 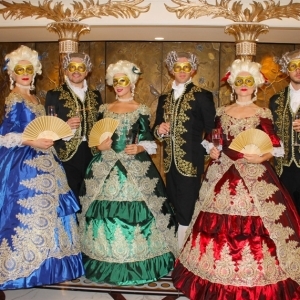 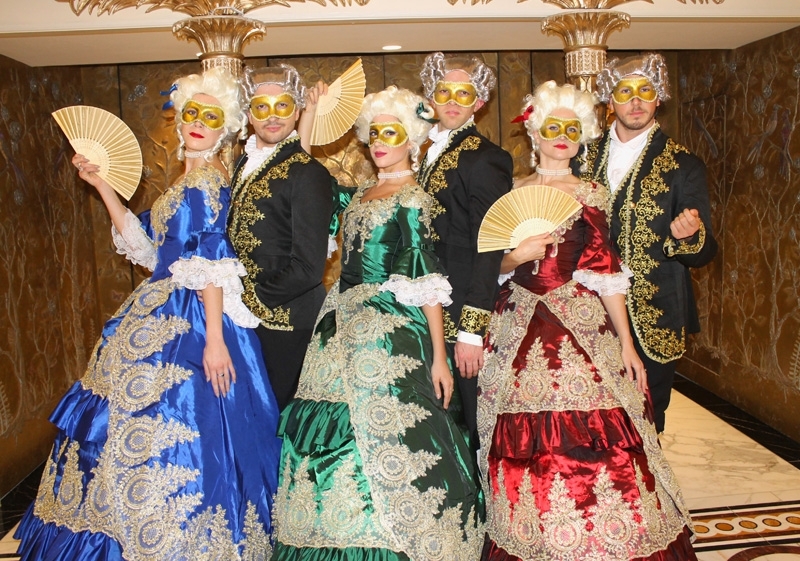 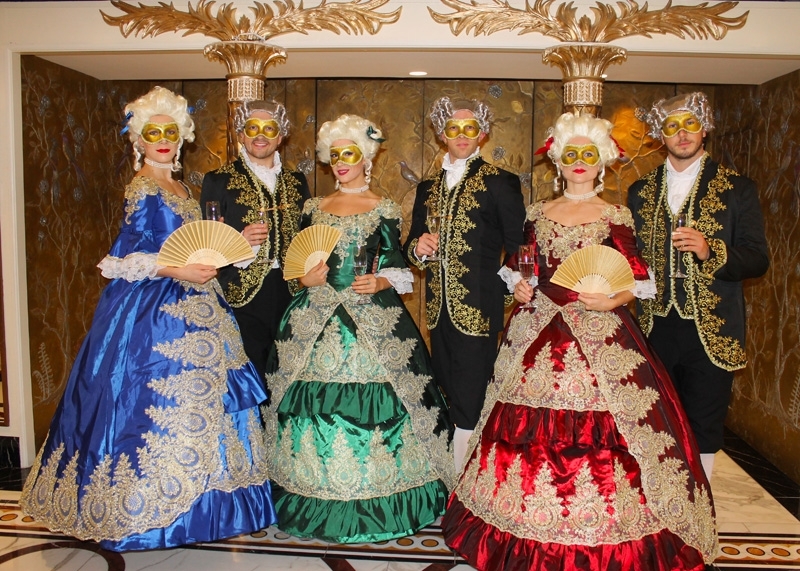 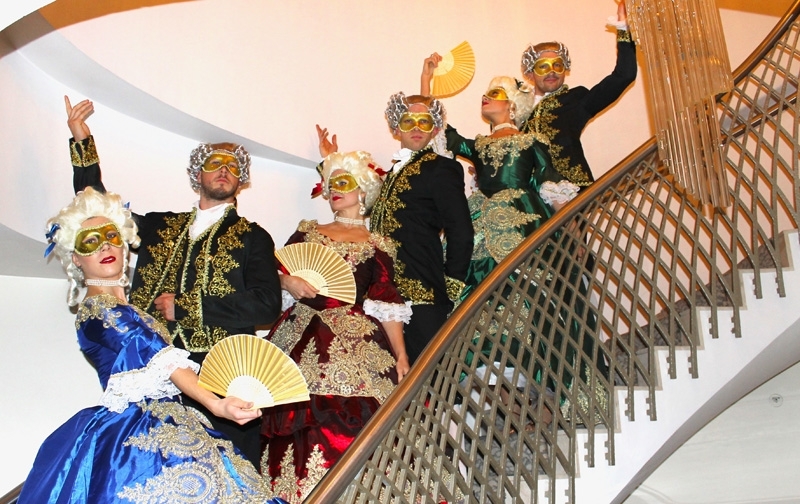 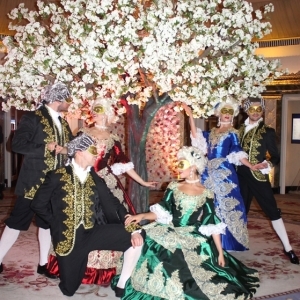 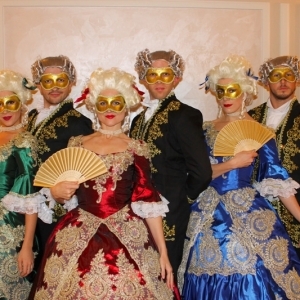 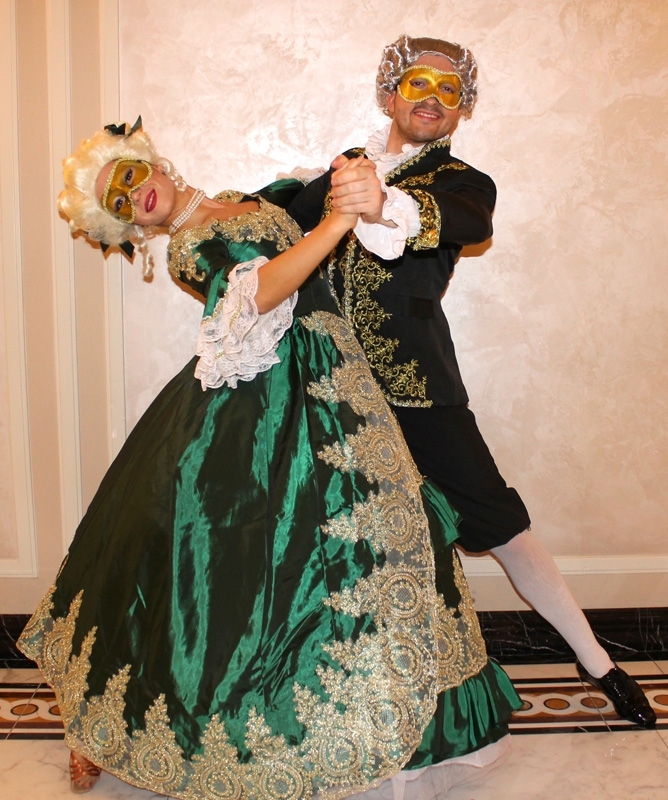 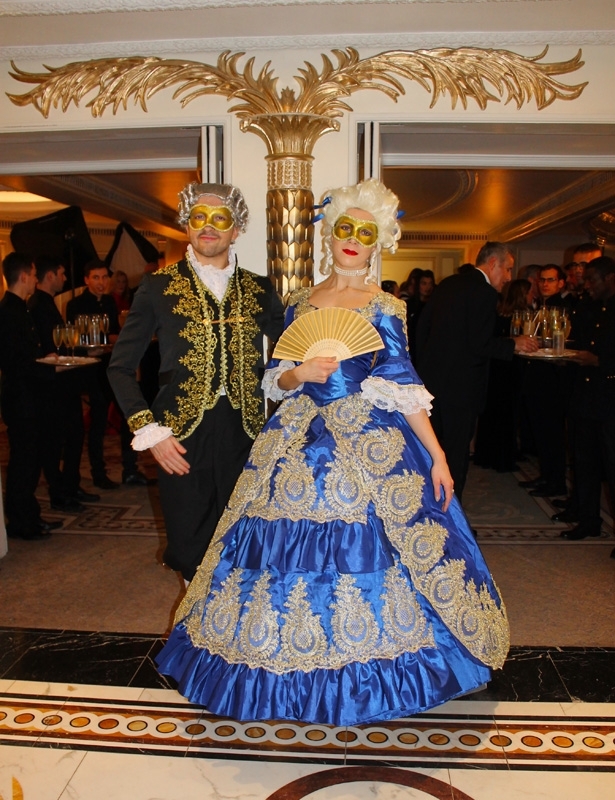 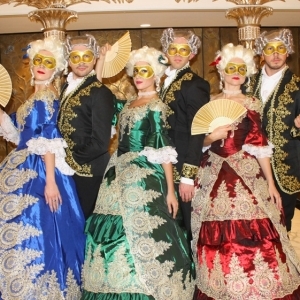 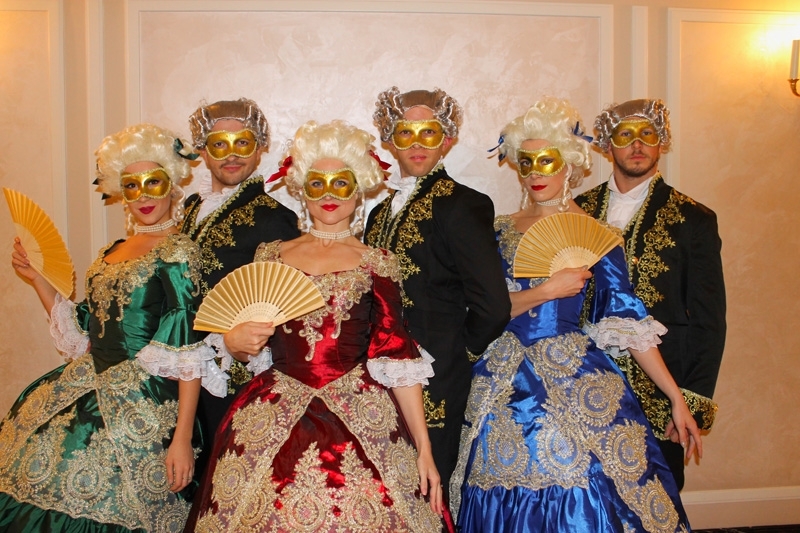 Our dancers can also teach a traditional Masquerade Ball dance and invite guests to find a partner and join the lines, where they are taught a simple sequence of steps in true regal Baroque style. 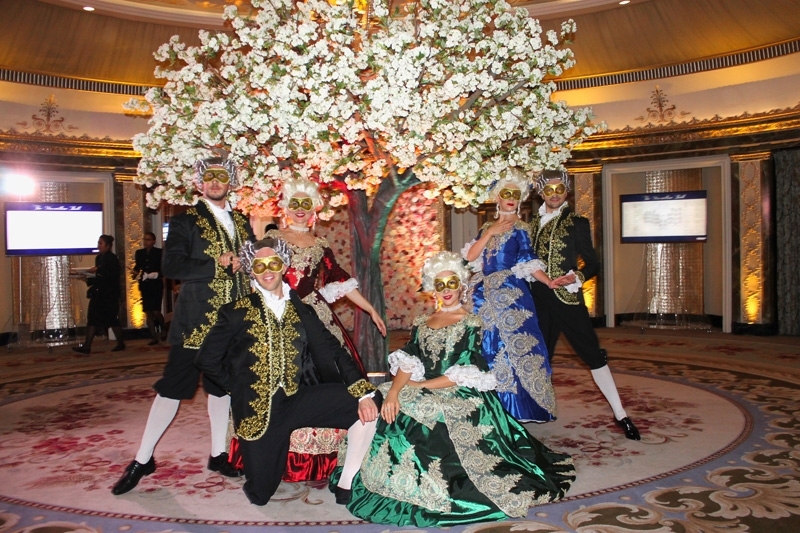 Another popular choice for Masquerade themed events is our masked feather adorned showgirls who can meet and greet guests on arrival and pose for photos. 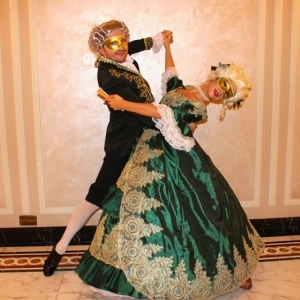 Other elements that can be added are stilt walkers dressed in beautiful masquerade costumes and venetian masks or circus performers such as masked jesters who can perform contortion and duo-acrobatics.